On Wednesday night I restarted my Christian Growth class that runs concurrent with our Awana program. This class is for all the adults who are not involved in Awana, youth ministry, or dinner without their kids. This gathering is a discussion-oriented class over theological subjects. 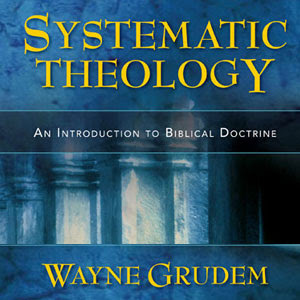 Most weeks, the class spends time in an outline from theologian Wayne Grudem’s Systematic Theology book. However, if a current event or unplanned subject pops up, the group uses Scripture, testimonies and stories to frame these issues in a Christian world-view. The class begins at 6:30 p.m., so after you drop off your kids at Awana at 6 p.m., grab a coffee in the lobby, say hello to some folks, then join me in the Living Room to learn together. Give it a try – its a lot of fun!